Many institutions and universities provide classes over the internet, and so it has become easier nowadays to obtain degrees from reputed universities. 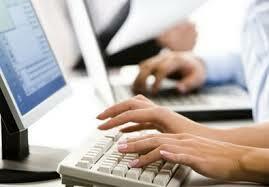 It has become easier to attend online classes for courses related to medical billing and coding as well. When you look up the internet and search for the same, you will find many online courses associated with medical coding and billing. To get a job in the field of medical coding and billing does not require any formal classroom training; there are minimal requirements when compared with many other jobs. Some of the requirements are that you should know how to use the computer; it is enough if you know all the basic functions of the computer. You need to have a minimal knowledge about the job you will be doing or get certified in this field. Detailed course guides, study materials and a range of useful resources are available online for all those students enrolled in private courses in medical coding and billing. In addition to the soft copies, these institutions will also see that the students get a hard copy of the study materials. They ship it to every student enrolled in the course. Students will also get to take up mock tests so that they have an idea of where they stand. Moreover, study materials are available through toll-free numbers, emails and internet chats. In order to enhance the skills of the students, most of the medical coding and billing schools include interactive sessions with experts who are already part of the profession. With this, they will have a deeper insight on what the job would be, able to know about the salary, the scope of the profession and much more. The chat room interaction is the highlight of the course, where you will be able to ask as many questions as you want and get answers for the same instantly. You will be interacting with knowledgeable tutors who are professionals in the field of medical billing and coding. You will get more information about the course and its applications via this method. Online billing courses allow you to balance work, personal responsibilities, and family, while you attend the course as well. You will be able to schedule a course and fix a study time. This can be tailored to your personal life schedule. When you are a certified professional, you will be given more preference than the other candidates who are to be certified yet. Hence, the course and the certification give you an upper hand in every way. There are quite a few things to consider if you are a medical provider looking to outsource your medical billing and coding processes. It may be hard to choose medical billing services since you will be handing the control over the essential aspects of your job or practice. Outsourcing your medical billing work has its own advantages; it helps you to concentrate on your job since you do not need to waste your time on medical billing works. However, when choosing a medical billing outsourcing service, you need to choose one that specifically serves your needs. Otherwise, it will be a big loss of money and time. Well, given below are few tips that will help you to choose the correct medical billing and coding services. Another thing that you need to consider while going for medical billing outsourcing is whether the medical billing service that you are choosing is making any changes to the medical billing codes like CPT, HCPS, and ICD-9 without your permission. If it does so, it is not recommended to continue with that specific service provider. An efficient medical billing service provider will find the errors that you have made in the medical billing codes and correct it. However, when doing so, first they need to consult you. This will help to prevent the liability issues in the future. Using a medical billing service that files claims through an internet-based management system is one of the easy ways to feel a sense of retaining control and managing transition issues. Moreover, go for a service that bills on an emergency fee, since it is the most favored method of billing. It will be easier to judge your costs each month if you are going for a set dollar amount per claim. These are the things that you need to look for when opting for medical billing outsourcing. Medical billing and coding is a field in the health care system that is growing day by day. Here, we discuss some simple tips for a person thinking about creating a home-based medical coding or billing business. One of the very first things that you need to do when planning to start medical billing from home is to earn a certificate in medical billing and coding. There are many colleges that specialize in medical billing and coding courses. You can join either them or some reputable home study or online course. Wherever you go, make sure that you get a certification as it is needed in persuading good clients. Since there are many people looking to start a home based medical billing job, if you wish to have an edge in the industry, you ought to have the necessary certifications. While selecting an institute to study medical billing, make sure that they teach you about medical billing software in detail. It is also advised that you do a part-time or full-time job with some best medical billing services company for a short period of the span, so that you may have a good understanding of the industry and the needs and trends in the industry. Working for a few months in a medical billing company will help you in familiarizing yourself with basic medical claims processing, billing software, medical terminology, and billing and coding procedures. Make sure that you have learned everything about the field before you start your own home-based medical coding and billing business. One of the most important things that you need to be sure about is the finance part. Make sure that you do have at least three grand at your disposal. This is the main reason for asking you to do a few months of job in a company that uses medical billing software for processing their job. You need to have the following items in your office even though you are planning to start a medical billing or coding business at home. The items include a computer, desk and chair, filing cabinets, office supplies, coding and other medical billing reference books, initial marketing materials such as business cards and brochures, and the billing software. 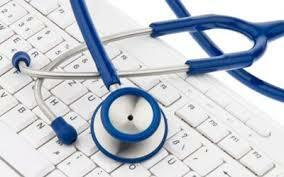 Another thing that you need to research is about the different medical billing software available in the market. Do a thorough research and select the one that is affordable and comes with good features. If you follow the simple tips given above, you will be able to run a medical billing business successfully from your home. When thinking about medical industry, doctors, nurses and lab staff immediately comes into mind. However, there are several other professionals involved in the industry, people who do not work directly with the patients but are still valuable assets without whom the medical sector will fail in no time. With the changes in the medical sector, there is a huge opportunity for employment in the medical billing and medical coding fields. These professionals, who work directly from the doctor’s office or in separate offices, cater to the needs of the physicians and hospitals. Since both terms medical billing and medical coding are used together, there is a presumption that these jobs are similar. However, this medical billing and coding jobs have nothing in common. Medical coding is a highly specialized field and requires knowledge of anatomy and medical terminology. On the other hand, medical billing deals with medical insurance processing. The medical billing profession deals with entering patient information into a special software that generates a bill which depends on the services received by the patient. It is not as easy as it appears and requires a certain level of integrity and a good knowledge of the patient’s insurance company. These professionals are expected to keep individual patient information confidential and present accurate information to government and insurance agencies. On the other hand, medical coding comes into play when individual codes are assigned to different treatments, illness or injuries. This means, having good knowledge of anatomy, medical terminology, and medical treatments is essential. If the wrong codes are entered, the bill will not be generated right. The best part about this job is that they pay well and they are aplenty. If you have the required certification and experience, you will be able to work sitting at home! Since the information is exchanged electronically, you can work from any place that has an internet connection. If you are interested in this line of work, you should start searching for the right certification institutes. The good ones will help you tutor the relevant information and will also help you in acquiring the right skill sets. Moreover, you need to get certification from places that matter. This will help you in getting the career of your needs as soon as possible. As you gain experience, you can climb up the ladders and jump into better venues. The medical billing and coding jobs are here for the taking to the people who are eligible for them. Medical billing and coding is a growing field, which offers many career opportunities. In order to enhance this field of medicine, several training colleges and schools offer associate degree programs that range from two to four years. Since this field is an emerging one, it is quite natural to have many doubts regarding pursuing a career in the same. However, it is essential to choose an accredited medical institution that offers these courses. After the successful completion of these courses, the organizations should be able to get you on a career track. You need to verify whether the organization that you are wishing to join has an AHIMA or CAHIM accreditation. This ought to be verified after choosing the program type. The medical billing course offered by different training schools may differ. However, they may offer additional courses that are not part of the program. Thus, this additional knowledge can only offer assistance in the long run. You can definitely attend these training sessions that could help you to gain good experience in this field. Medical billing and coding will cover the following topics like Health Information Management, CPT Coding, Human Biology, Accounting, Legal Aspects of Health Care, ICD-9-CM, Pathophysiology, Medical Reimbursement, Medical Terminology, and Pharmacology. As you can see, it covers a wide range of topics. Sociology, Algebra, psychology and communication are few of the courses offered by the program. Some may even require English language or math as a prerequisite for acquiring admission. The externship will be done by offering jobs in a health clinic. The candidates will have to prove their eligibility and will have to undergo immunizations, criminal background check and a physical fitness test before placement. You can even find Virtual externship where everything will be conducted online. The length of the externship varies for different courses and sometimes, they may have to complete 30 to 60 hours. Externships are generally helpful for the students as this can definitely help them gain more experience. Before choosing any medical coding or billing school, it is essential to enquire about their chances of offering jobs for the students. Some of the top medical coding schools help students to be admitted in the best health clinics and hospitals. If you are wishing to trail a career in medical coding or billing, you can compare the best medical coding schools and acquire admission in the same. 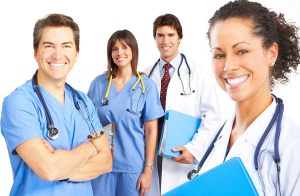 This can certainly help you to acquire a high profile medical job. Students and youngsters have been found more enthralled towards medical billing and coding jobs due to the growing demand and attractive pay scale. Medical billing and coding have come up due to the priority offered to insurance claims and their settlements. It has become quite essential to document data pertaining to each patient by the hospitals and medical clinics. Since they find it difficult to handle all these tasks, they hire the service of medical billing and coding specialists to get the job done. This has finally increased the demand for medical billing and coding specialists. Appointing medical billing and coding specialists not only helps the hospitals, but they are of intense help to the insurance companies. People who are appointed as medical billers or coders often acquire excellent training from training schools and colleges. This quality reflects in the work rendered by them, giving more accuracy in medical billing and coding. Thus, hospitals could submit the claims to insurance companies with more accuracy and help patients to get their claims settled. A majority of people rendering these services, work for large billing services who outsource such services. You can even find medical billing and coding jobs in insurance companies and other healthcare facilities. 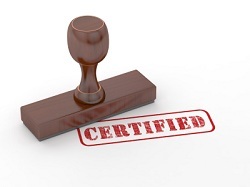 Certification is not the main requirement, but those who have completed training from reputed schools and colleges would be certified nationally. However, there is no state requirement for certification at present. Even though freshers are appointed by hospitals and other healthcare firms, a majority prefer to appoint experienced hands for medical billing and coding tasks. Certain hospitals appoint people without any experience and offer them training in their medical billing software. It is always better to acquire some kind of training in this field before you actually join a reputed hospital or healthcare firm. You can definitely find many ads of companies hiring medical billers and coders. Some appoint people without experience and some require experienced people for these jobs. It is better to gain experience, which could definitely help you to pursue this career in reputed hospitals or insurance companies. You will be paid hourly by these companies and some pay about 9 dollars to 10 dollars an hour. This can be increased to 35 – 45 dollars as you gain experience. This really shows the significance of gaining experience in this field. You can definitely attain a wonderful career after acquiring proper training in this field. Even though medical billing and coding are often used together, they are two different streams in the health care sector. However, most of the people prefer to have medical billing and coding training together as they would thus have an increased percentile of getting a job. Since the health care industry is growing on a smooth scale, there is no need to worry about being knocked out of your job if you are a medical biller or coder. While medical billing is a process of sending actual bills to the insurance companies, patients and Medicare for the services that have been provided to the customer (patient), medical coding is the process of assigning proper codes for each of the procedures and medications provided to the patient. The main function of a medical coder is to help the medical biller by making the billing process simple. Each of the medical procedures has different codes and they must be assigned carefully and accurately or the patient will not be able to get the full benefits. Make sure that you have used the appropriate ICD and CPT codes for use in billing. There are many options for a person looking to take a medical billing and coding training course. One of the best ways that you can advocate is to join a training academy or college. There are many famous institutions that specialize in medical billing and coding training. However, make sure that you do get a certification at the end of the training program as there is actually no use in having undergone a training if you are not able to produce a certificate to show a potential employer. The American Health Information Management Association (AHIMA) and the Commission on Accreditation for Health Informatics and Information Management Education (CAHIIM) are two major bodies that provide the certifications. It is better to study in one of the training centers that have programs that are accredited by these agencies. Since there might not be a chance for accredited programs to be present in every state, you can opt for distance education or online education. Both are two great options and are cheaper than actual training. However, the problem associated with these studies is that you need to work harder to understand things. Since employers prefer to select people with a certification, make sure that you do have one to have a high edge when compared with your competitors. Healthcare field is quite vast and there are many areas about which people are still not aware. One such field is medical billing. As you are aware, hospitals deal with more patients and as per the Accountability and Health Insurance Portability Act of 1996, information of all the patients need to be recorded. This need to done electronically. In order to ensure that information is recorded systematically and effectively, hospitals and health clinics purchase medical billing software. These software programs are designed in a way to help different groups working to get medical claim or bill settlements. They include medical institutions, medical secretaries, different insurance companies and anyone doing medical billing. The medical billing software should be acquiescent with the terms of HIPAA. The software used for medical billing is often compatible with the most popular operating system, Windows. They have been incorporated with different Automatic Billing System that can help to prepare bills with more accuracy. However, software is just not enough to render medical billing services. 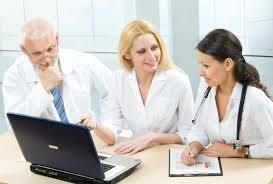 You need to acquire excellent training in medical billing field in order to pursue a medical billing career. Training schools and colleges offer their students with excellent training and they even get introduced to medical billing software. The software, on the other hand, offers emailing facility to it users and the users can generate reports and data and send them to the desired destination when required. These software programs even have features to save the mistake and time and you could rectify them. 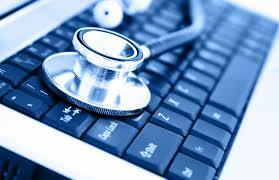 The software programs that are used for medical billing are often customized to help different fields of medicine. You could pull the reports according to your wish and get them printed if required. The software is also designed to track the medical claim of patients. This could help the medical billing specialist to have a better know how about the status of a claim. 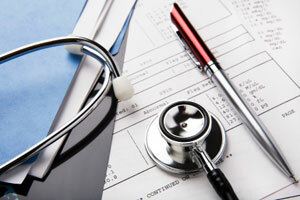 Medical billing is a growing field and number of people are choosing it to enjoy an exciting career. On completing your training, you could start working as a medical billing specialist at any reputed hospital or medical clinic. Even though software for medical billing is utilized by the majority of hospitals, a medical billing specialist ought to have a thorough knowledge of the process to keep himself efficient. Medical Coding jobs are by far one of the most thriving job industries of all times. Qualified and experienced medical coding professionals are always able to draw a hectic monthly salary. 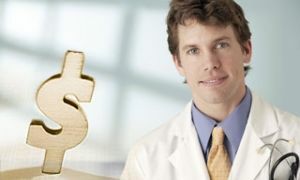 Nowadays, almost all leading hospitals and top-notch health care centers outsource the works related to medical billing codes to reliable and reputed medical billing companies. This is the main reason why experienced professionals well versed with medical billing codes are always in huge demand. Read along to know more about medical coding jobs. One of the basic duties of a professional medical billing practitioner is to assist with the coding procedures of a patient’s medical documents. The doctors, after jotting down the medical notes of a patient’s treatment and diagnosis, will require the service of a qualified person. This is for transcribing these notes into the computerized format. The computerized data or medical billing codes are then used to maintain a consistent track regarding the patient’s health improvement and important schedules pertaining to future medical consultations. 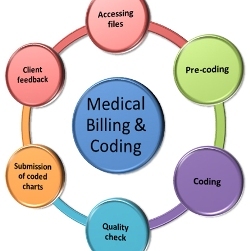 Medical billing and coding services are required to deal with numerous insurance companies. The medical billing practitioners will ensure that all the medical billing services company are correctly reimbursed from the insurance companies. Adding to that, they will also do the prompt inquiries of the patient’s insurance claim appeals. Are you looking forward to pursuing a lucrative professional career? Then medical billing and coding jobs will certainly be one of the best options for you. However, you should always remember that it is imperative to get the training and certification from acclaimed medical billing institutes. It is because eminent medical billing companies always look for people who have thorough knowledge about the nature of the job. You can see that the training you receive at medical billing institutes is a strong theoretical platform that enables you to step into the real profession. Once the training is completed, you will have to take up the Certified Medical Billing Specialist Exam or CMBS exam. 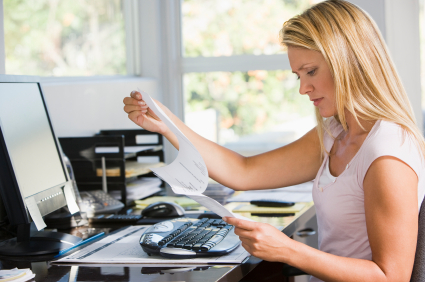 Though you can see that the pay is good, medical billing jobs come with many responsibilities. You should be passionate about the job if you want to be successful. It is important to have an eye for even the slightest of details. You should also have good patience and the ability to work under stressful conditions without losing your calm. Therefore, if you think you possess all these basic requirements, medical billing and coding may be the right career option for you. Are you looking forward to pursuing a successful professional career? Then medical billing and coding jobs will prove to be the best option in front of you. This is because medical billing jobs have always been a thriving job industry. Experienced professionals are able to earn a handsome salary on a monthly basis. Nowadays, super speciality hospitals and health care centres outsource all their medical billing jobs to reputed medical billing companies. This is one reason why experienced medical professionals are always in huge demand. Read along to know more about the subject. In order to become a successful medical billing professional, you need to get training from a medical billing school. Medical billing and coding schools provide effective theoretical background and enable you to take up the CMRS exams and RHIA exams. At the same time, you must remember that medical billing companies always look for experienced professionals. It is a fact that medical billing and coding jobs will help you to fetch hefty monthly paychecks and is a highly responsible job. The medical billing and coding professional should be committed and have a passion for the job. He or she should be able to remain calm and work under stressful situations. Adding to that, the medical billing professional should be able to show compassion and mingle freely with the patients. Their prime duty is to prepare the health insurance reports and detailed medical history of every patient. Even the slightest mistake can cause legal problems. This is the reason why many of the medical billing companies always look for experienced medical billing professionals. You can search on the internet to get more information about accredited medical billing institutes. Make sure that you will receive a valid certification once you finish your course. Experience is also an important criterion when it comes to medical billing and coding jobs. This is the reason why medical billing firms always hire professionals who have a vast experience and expertise in this field. 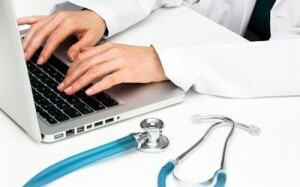 Another major advantage of medical billing jobs is that you can even do it from your home as a freelancer. This way, you will be able to enjoy flexible job timings. All you need to do is to ensure that you finish the job within the proper deadline. This makes it very convenient for single mothers to do medical billing and coding jobs on a work at home basis.